Notes: Colour codes on the cover spell FACT 75 or FACD 75 depending on the format. 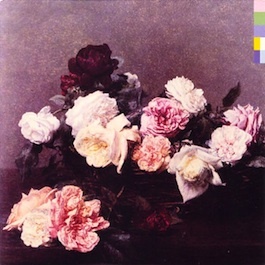 Colour codes on the LP inner sleeve spell "POWER CORRUPTION AND LIES NEW ORDER". Factory created a sculpture based on the FAC 47 anvil logo (similar to the one for FAC 73) to mark 500,000 sales of 'FAC 75'. The Nov/Dec '86 isssue of The Catalogue lists a DAT format release (FACT 75D) as planned for 1987 (but this never happened).